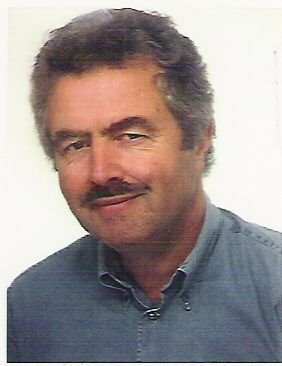 In his latest article titled "Lies and Myths About Milosevic and the Serbs" (note the title, he doesn't even hide his one-sided leanings), Mr. Rodney Atkinson "a British opponent of globalization" and amateur 'historian' repeats old-school Serbian propaganda claims about Bosnian war and reduces himself to Srebrenica genocide denier. Since I am limited with my time and not really fond of Milosevic's apologists, I will take a few moments to address some of the issues Mr. Atkinson raised in his factually wrong, overly one-sided and narrow-mindendly reasoned essay. As you will notice, the only elements missing to Mr. Atkinson's claims are objectivity and credibility. In fact the trial and Milosevic's detailed and penetrating challenge to prosecution witnesses had made a complete fool of the kangaroo court which had effectively kidnapped him in Belgrade (using the same anti-constitutional methods as the European Union did to destroy the sovereignty of the nation states of Europe - Presidential or Crown Prerogative!) Milosevic was not accused in the International Court in The Hague but by a "special Tribunal" set up by the anti Serb forces. Blair and his partners in the illegal war were indicted at the REAL International Court - but refused to turn up. The evidence at the trial proved Milosevic's guilt. Far from that the Court was repeatedly unable to make any connection between Milosevic's orders and the assumed "atrocities". Indeed several Serb army personnel gave evidence that Belgrade had always insisted that soldiers who committed crimes should be brought to justice. The Court case also revealed that Lord Paddy Ashdown had lied to the Court and one of the Prosecution's star witnesses exonerated Milosevic and said he had been tortured to make him provide evidence against the accused. 5. You can find more resources by searching our blog. Most were myths, the rest questionable. The Sarajevo market bomb was not set by Serbs but by Bosnian Muslims, as the UN later confirmed. The skeletonic "concentration camp" victim was a hoax, as the BBC's John Simpson confirmed. 4. You can find more resources by searching our blog. Secondly, the skeletonic concentration camp victim was not a 'hoax' as Mr. Atkinson alleges. The victim in question was Mr. Fikret Alic, Bosniak civilian from Prijedor area held in Serb-run concentration camp Trnopolje. Thomas Deichmann was engineer by training, not journalist. In his article titled "The picture that fooled the world" (LM, February 1997), Mr. Deichman claimed the photo of skeletonic Fikret Alic was a 'hoax'. As a result, ITN station responded with and won a lawsuit against the LM magazine. You can read more about it here: Living Marxism magazine tried to fool the world with lies. Note that The Living Marxism magazine was launched in 1988 as an outlet for the Revolutionary Communist Party, a bizarre controversialist sect which split from the "International Socialists" in the 1970s. Soon the Revolutionary Communist Party was collapsed into Living Marxism, which, hovering between three different parent companies, later changed its name to LM. The Srebrenica "massacre of 8,000 Muslims" [note the quotation marks] consists of some 2,000 bodies including Serbs who died in battle over a long period. Teenagers among the dead were commonplace especially among Croat and Bosnian army troops. 6. You can find more resources by searching our blog. The "International Community" never describes the massacres of Serb villagers around Srebrenica before the Yugoslav army moved in, nor the evil Muslim Commander Naser Oric who, Roland Keith testifies, carried out those raids and showed journalists video tape of the beheadings he ordered. Oric withdrew his troops from Srebrenica before the Serbs arrived. His army was later caught and badly defeated - which explains the origins of the Bosnian bodies found. First of all, Naser Oric was charged for not preventing killings of 12 Serbs (this is command, not individual responsibility) and plundering Serb villages for food. Compare that to 8,106 Bosniaks killed by the Bosnian Serb and Serbian forces. Beheadings of Serbs in Bosnia were nothing more but a convenient Serb propaganda; no beheading videos were introduced during Naser Oric's trial. For Serbian beheading propaganda, read "He was Bosnian, not Serb soldier: Srebrenica massacre photo story". So how many Serbs died in Bosnia? In fact, less than 2,000 Serb civilians died in all of Bosnia (or 1,978 to be exact according to the latest data as of December 15, 2005 by The Research and Documentation Centre) - many of them from the Bosnian Serb shells hitting besieged government-controlled cities. It should also be noted that Naser Oric is not on trial for genocide, nor is he on trial for mass murder of Serb civilians. And lastly, Mr. Atkinson takes out of context President Izetbegovic's words from Islamic Declaration (Izetbegovic's book criticising Islamic governments): "There can be no peace or co-existence between the Islamic Faith and non Islamic institutions". More than any other text, the Islamic Declaration is cited by Serbian nationalist propaganda as evidence of dangerous 'Islamic fundamentalism' in Europe which must be suppressed... or else. Often cited to justify persecution of the Bosnian Muslim civilian population during the former war, the Declaration and its author, Mr. Alija Izetbegovic (Party of Democratic Action), former president of Bosnia, have been demonized and frequently blamed for the war in Bosnia-Herzegovina. One might explain these accusations as viscous political propaganda brought on by war. However, as early as 1983, Izetbegovic and his writings were the target of a virulent campaign against Islam in Communist Yugoslavia. This campaign had its contemporary roots in the early 1970's when Bosniaks were allowed for the first time to declare themselves as a national group, but its deeper roots may lie in what Yugoslav scholar Bogdan Denitch calls "the pathological suspicion and hatred of Muslim Slavs." Part II of the Declaration, "The Islamic Order," explains how Muslim society should be reorganized based on Islamic principles. Parts of this section are often quoted out of context to prove that the Declaration advocates violence. It is crucial to note that Izetbegovic was speaking here of Islamic countries in which false modernist or conservative Islamic doctrines have been institutionalized in the political and social system. He was simply criticising Islamic governments and in many instances praised Western achievements. He was not speaking of Western countries or his native Bosnia-Herzegovina (Bosnia is not even mentioned in the book). A close reading of the Declaration reveals that Izetbegovic was advocating a cultural, not a political revolution, especially in countries (like Yugoslavia) where Muslims were a minority.